As artist-in-residence, Francesca researches each location, to identify its resources for materials, and the significant social and environmental concerns. Using demonstrations, workshops, and displays to build interest, she constructs site-specific installations with the collaboration of the community. 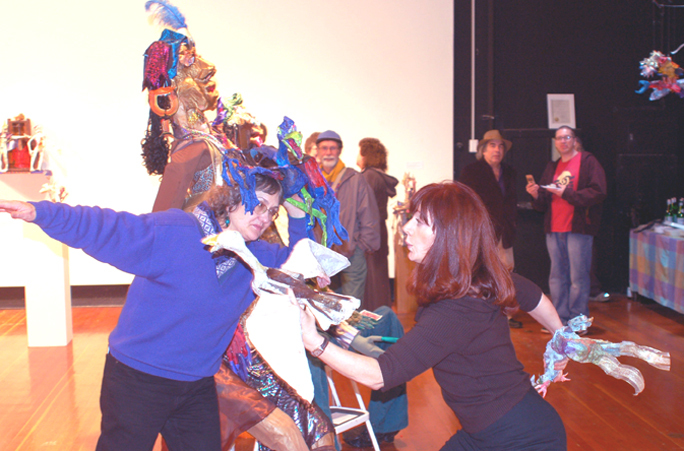 As art teacher, she provides the materials and sets the theme, and teaches participants to find their own materials. She provides iconic images and texts, and demonstrates techniques so people will want to create their own art. 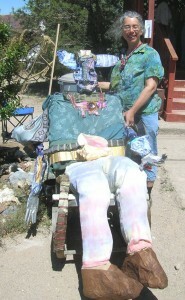 She is looking for new people to work with her, new materials for her art, and new ways to work with the environment.